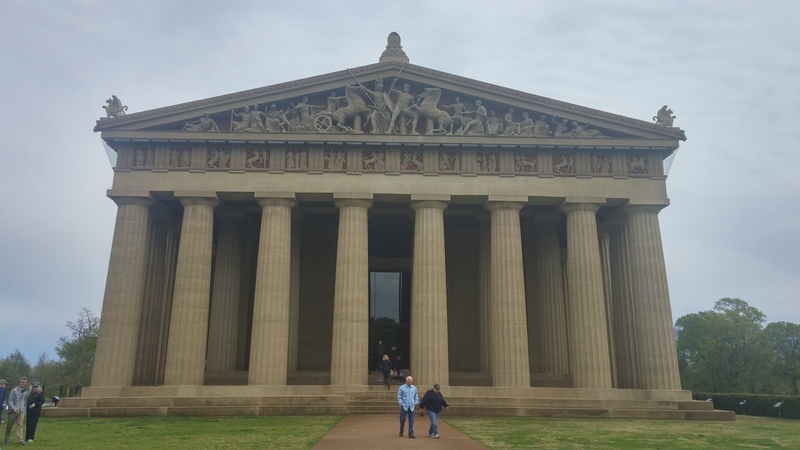 Nashville may be known as the “Music City” and music it has but on my recent visit I discovered a few other gems that make it a must-see-city. Having visited Nashville many moons ago, I wondered how the city had changed. My first indication was the event I was attending, Nashville Vegfest. A first in these parts, the fest brought in 4,000 Tennesseans. Whoa! I was totally impressed by the attendance, the venue, the organizer, Glen Brown, and his volunteers who all did an amazing job. Kudos to them for hosting such a successful event and for also being the kindest friendliest people ever. Definitely put the Nashville Vegfest on your calendar for next year, Glen promises it to be bigger and better and based on what I’ve seen, I believe it! While in town I wanted to experience the local and tourist vibe. They say a picture is worth a thousand words and thou I may not be the greatest photographer, this blog is picture rich with a few descriptions and cliff notes of my visit. My first stop on any travel journey is always the food and of course this trip wasn’t any different. 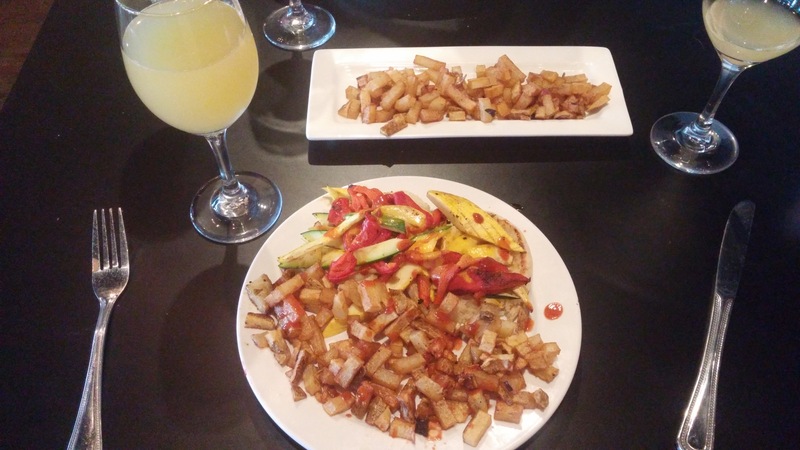 At Sunflower Cafe the food is served cafeteria style with many options including a few daily specials. 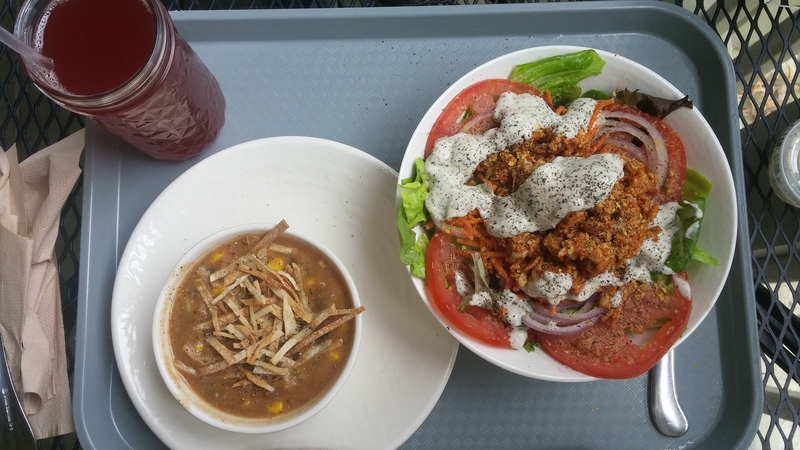 I had the Tortilla Soup packed with great spice and flavor and a salad that was hearty to get my day going. No stop in Nashville is complete without a walk down Broadway. Think bar, bar, bar and tons of music at anytime of the day. 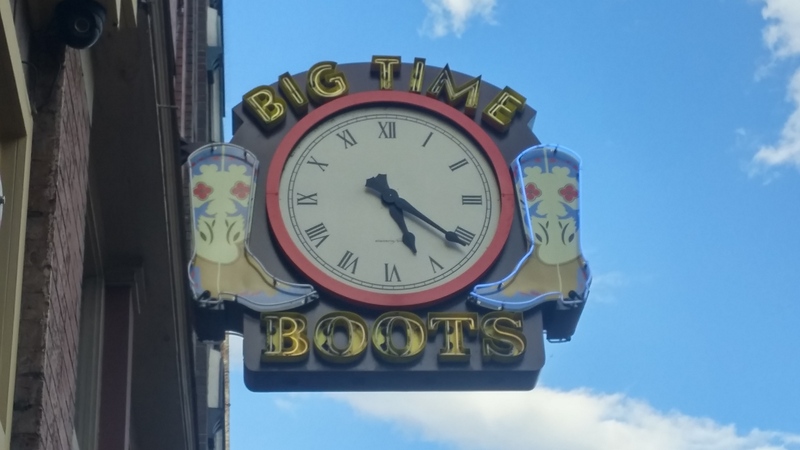 Oh…and check out these cool neon signs too. 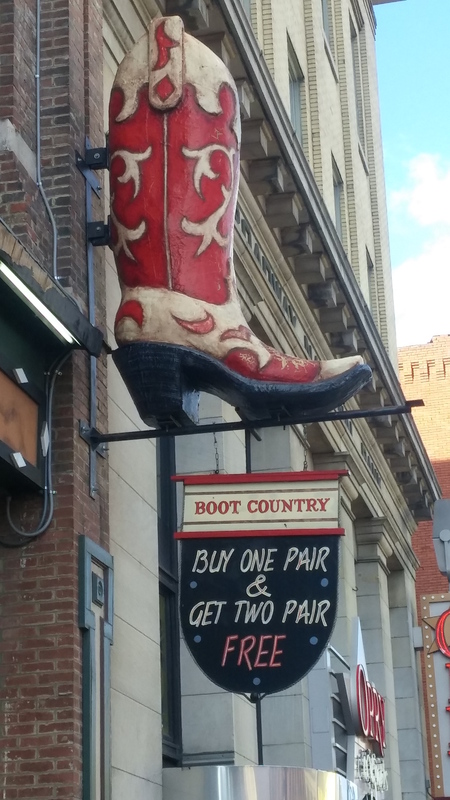 Note, this is NOT the place to buy a pair of cowboy boots! 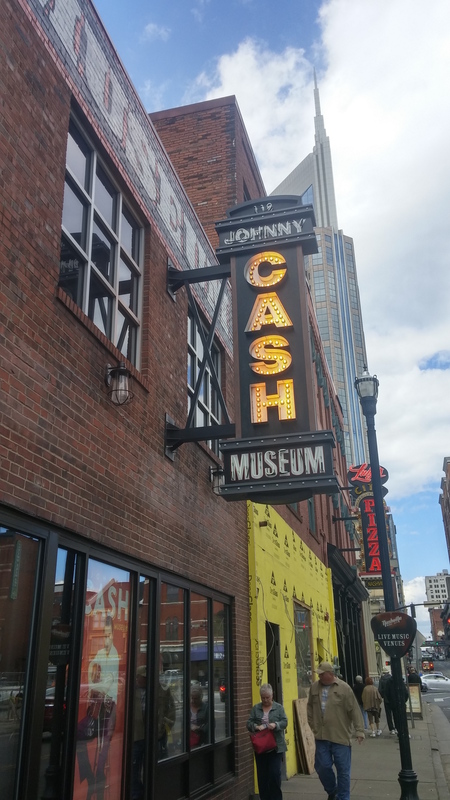 While downtown make sure you stop to tour the Johnny Cash Museum. If I have to tell you why this man is so important then you’re reading the wrong blog. Bar hopping and site seeing is hard work ya’ll so we opted for dinner at our hotel restaurant 1808 Grille. 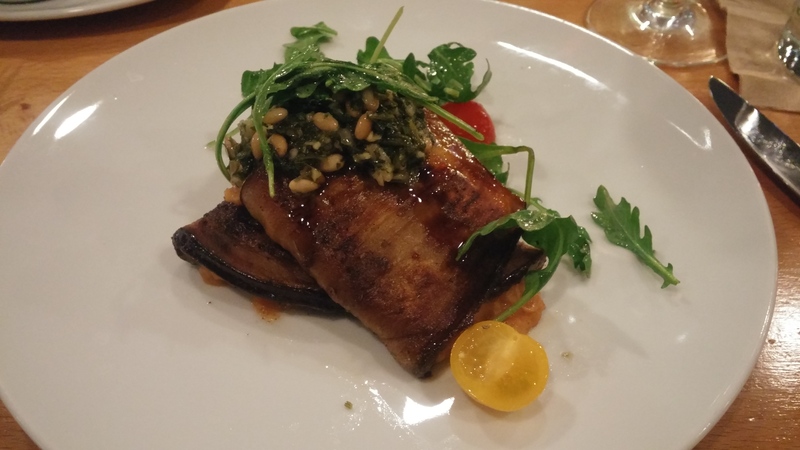 They offered one vegan option, Eggplant Rollatini. It was good too. 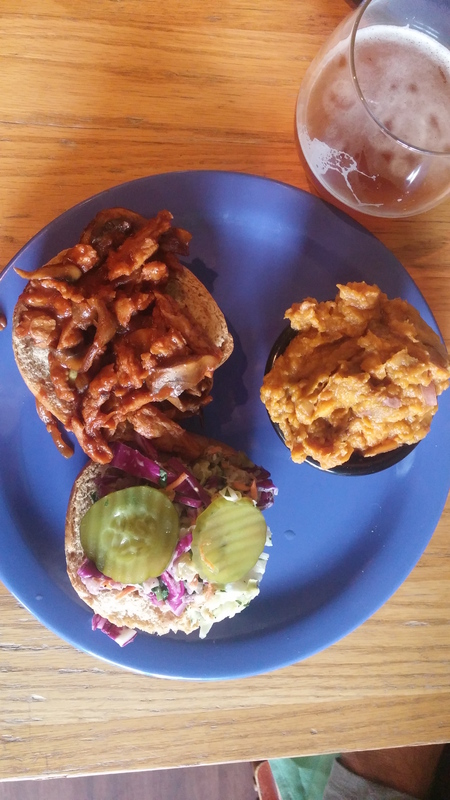 The next day we were eager to visit vegan eatery, The Wild Cow. 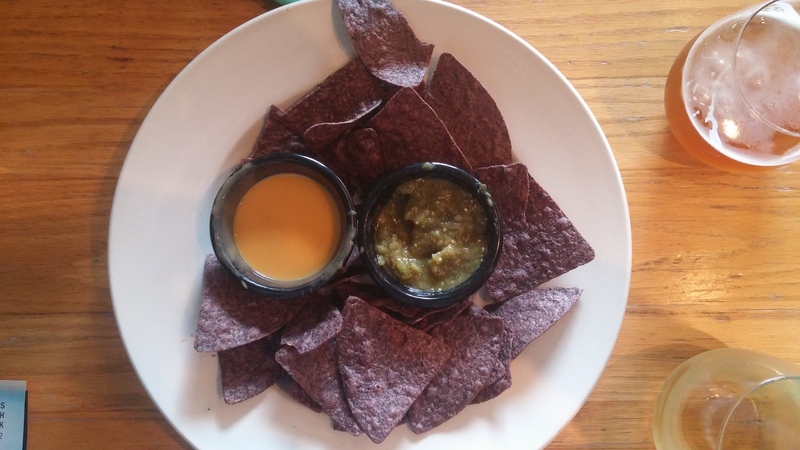 The appetizer of chips, queso and green salsa had me begging for more. A special that day, BBQ Jackfruit was all the mess it should be and devoured. 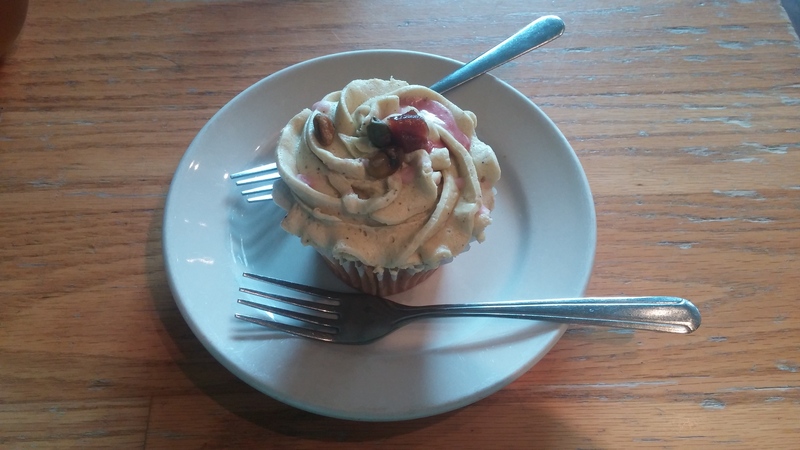 Although the Strawberry Pistachio Cupcake sounded good, I was disappointed. Fueled and ready to hit the tourist scene we headed downtown to check out the Country Music Hall of Fame. 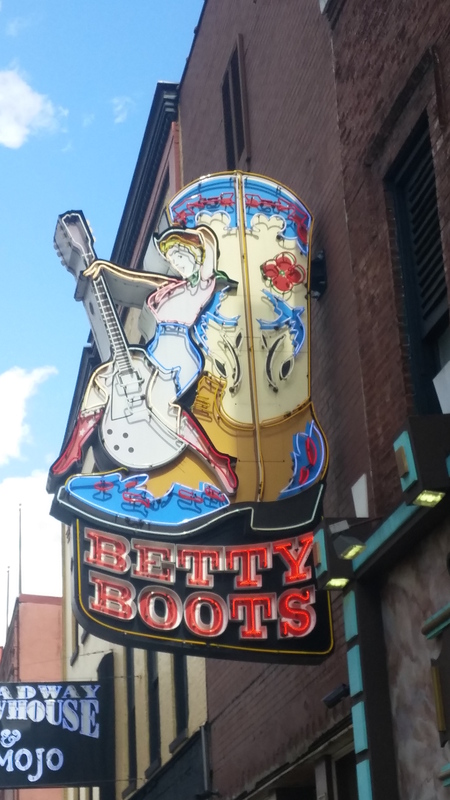 Even if you’re not a country music fan, you will love reading about it’s history and seeing all the memorabilia. There’s a lot to read here so allow several hours. While downtown you’ll also want to tour the Ryman. With an amazing story chalked full of history, this is a must see. The Ryman is still used for concerts with amazing acoustics (we were lucky to be there during a sound check). You can actually stand on the stage thats graced a many of famous people. 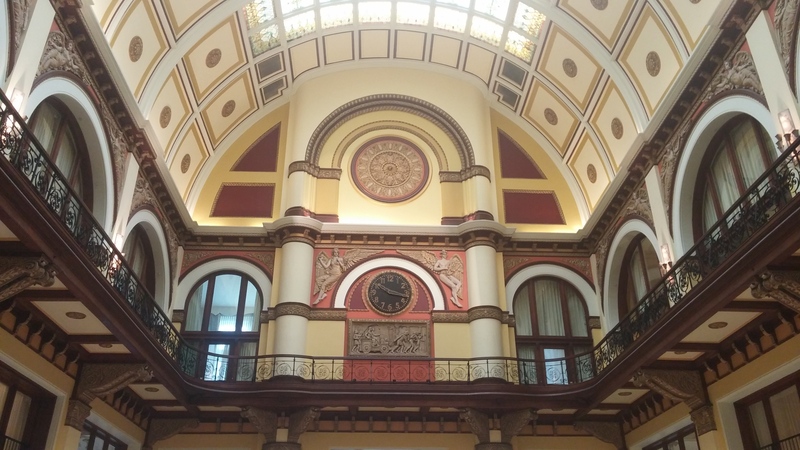 Another worthy stop while downtown is Union Station, which is now a hotel. Gorgeous both inside and out, take the stairs to the 6th floor to the wrap around balcony to get the full view of the massive lobby. The restaurant is not vegan friendly but there’s a bar if you’re thirsty. 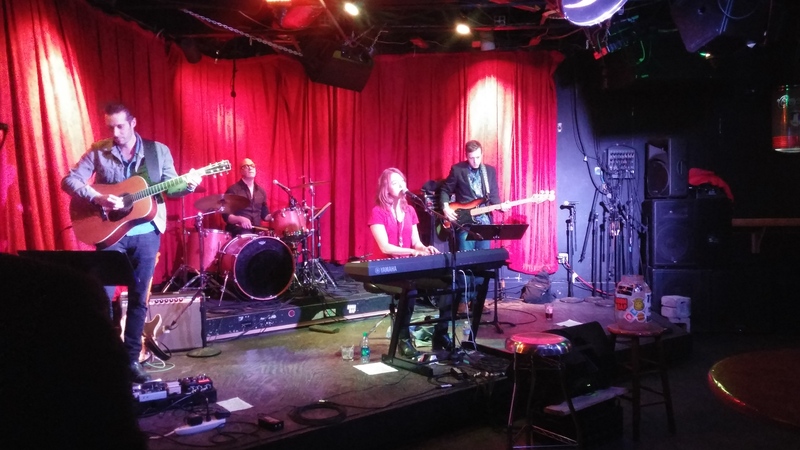 A short drive from downtown is Music Row. Signs clearly mark the area but you kinda have to know what you’re looking for. Think record labels and you’ll be fine. The unassuming buildings house record labels such as RCA Studio B, where hundreds of artists (including Dolly, Willie Nelson, Elvis Presley) recorded. A lot of money flows from Music Row. 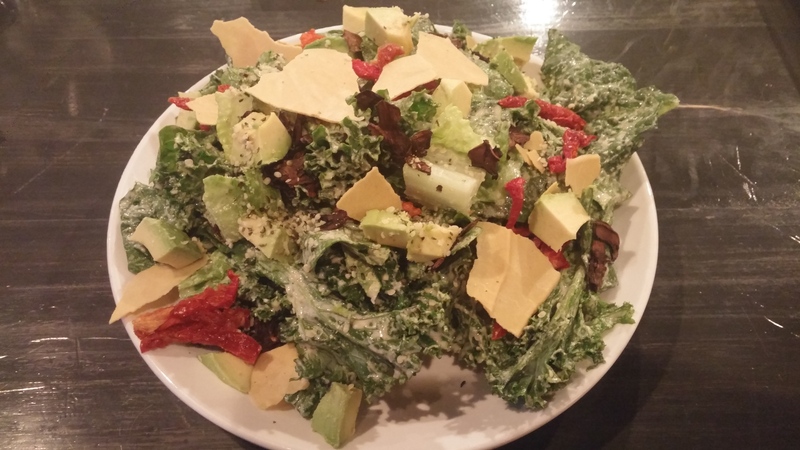 Being a tourist can make you hungry so we headed over to AVO, a local mostly raw vegan restaurant. 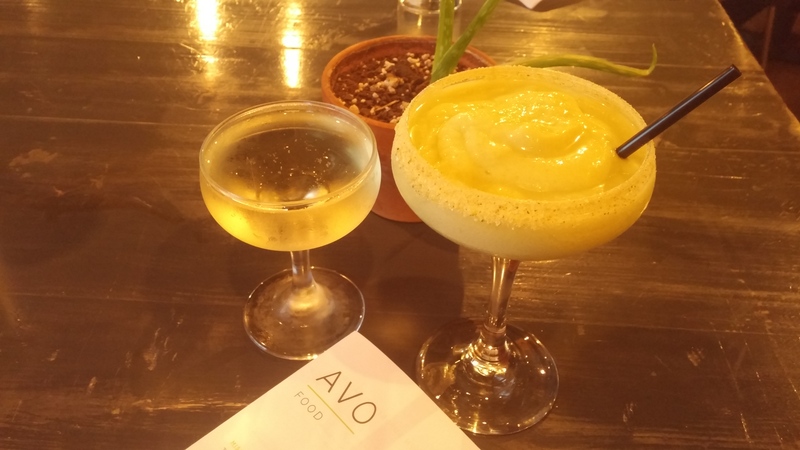 Housed in a shipping container, Avo’s focus on local and sustainable shines thru in their food. Try the Avocado Margarita that is creamy and less sour than a typical margarita. 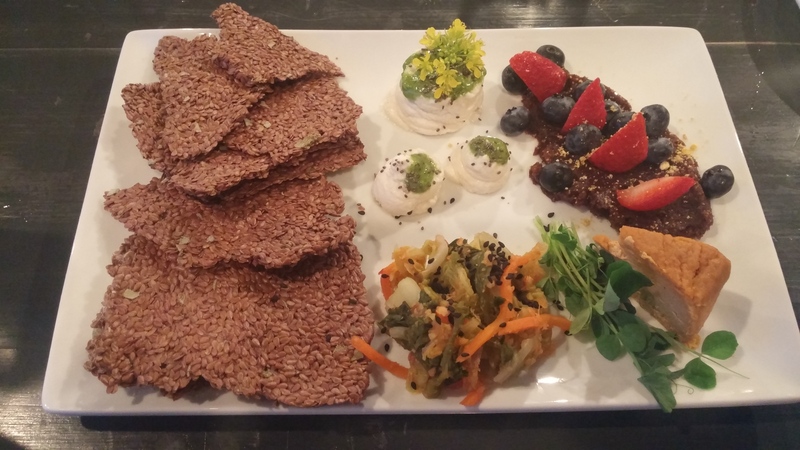 The Tree Nut Cheese Plate was divine and could had been a meal in itself had it not been shared. 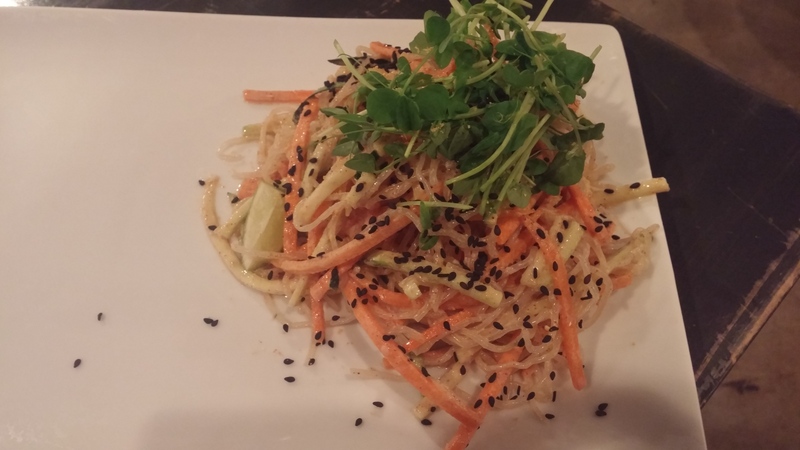 I went for the Caesar, this was the “small” portion and my date had the Pad Thai. Both were hearty portions and ridiculously delicious. If you’ve worked all day at a vegfest you know how completely worn out you are at the end of the day. Yet, this is Nashville and there was music to be heard. 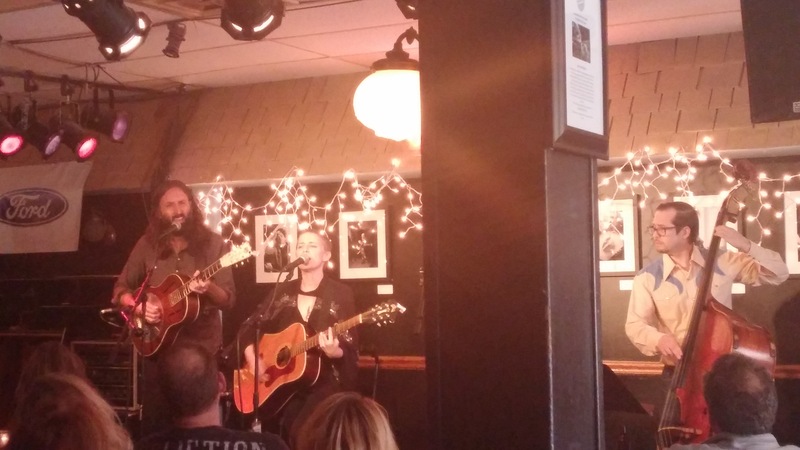 Fortunately, I had connected to actor, singer-songwriter Alicia Witt (who happens to be wearing my handmade vegan cowboy boots on the ABC show Nashville) and she let me know that she was playing at The 5 Spot. I was thrilled to meet her and hear her music. She’s not only vegan but is beautiful both inside and out with an amazing voice and keyboard talent to boot. We couldn’t stick around for the whole show since I had already bought Grand Ole Opry tickets. Yep, it’s another touristy thing. The Grand Ole Orpy used to be shown at the Ryman but now it’s by a huge outlet mall, losing its charm. It was a fun show and we enjoyed the “experience” but sat wishing we were back at 5 Spot. Nashville has a lot of restaurants that offer live music and a local had told us to check out The Listening Room. We went there on Sunday for brunch and despite not being very vegan friendly, the chef made this really tasty veggie benedict. Sometimes it pays to ask. Needing to stretch our tummies legs for a bit we headed over to Centennial Park to see The Parthenon. It’s the only existing replica of the original in Athens, Greece built in 1897. Pretty amazing. 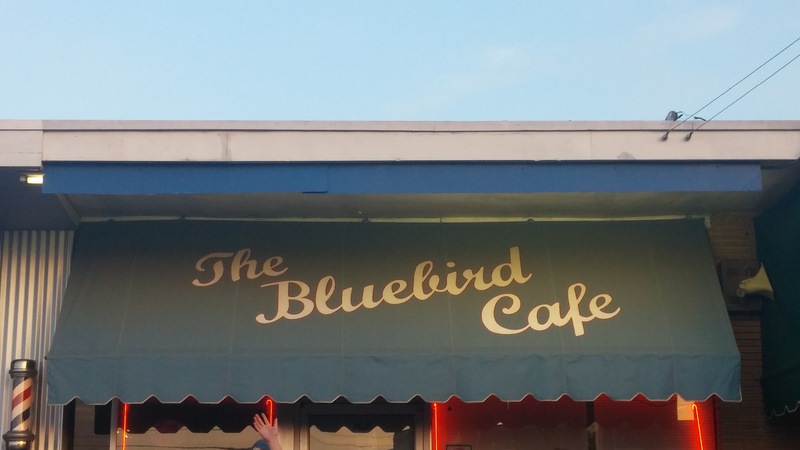 We then hit up the famous Bluebird Cafe for more live music. If you go on Sunday or Monday it’s on a first come basis and unless you’re prepared to stand in line for two hours before the door opens, don’t even think about it (don’t ask me how I know this). I must say it is well worth it. On our last day we took a quick 25 minute drive south of Nashville to visit the quaint historic town of Franklin. The old restored houses alone are worth the trip but the vibrant walkable downtown filled with shops and eateries are plenty. 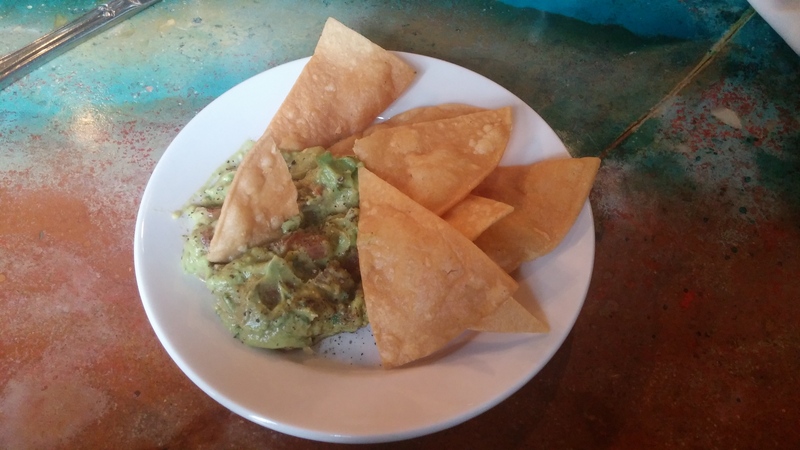 I especially liked stopping for a snack of homemade chips and guac. 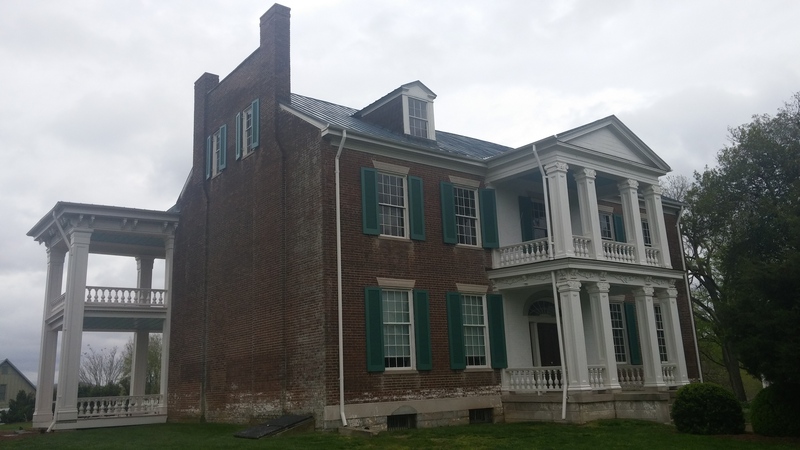 Despite the intermittent rain, we took a tour of nearby Carnton Plantation. The Carnton was taken over by the Confederates and used as a makeshift hospital at the Battle of Franklin during he Civil War. Blood stains are still seen on the wooden floors and almost 1,500 soldiers including five Generals are buried there. Although it’s a beautifully restored house, one can certainly envision the chaos that occurred that fateful night. Nashville is very compact and super easy to get around town from one area to the next within a few minutes. Parking is plentiful but comes at a hefty price downtown. There’s definitely a lot more to see and do and as we headed towards the airport I mentally began planning my next visit. I encourage you to take these tips and do the same.